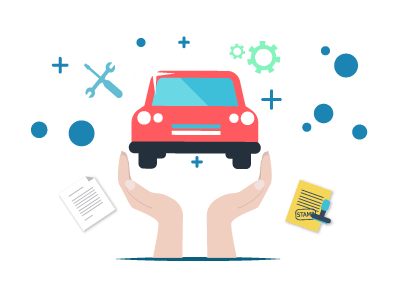 Basically all insurers in Delhi offer two types of car insurance covers; comprehensive car insurance plan and third-party liability cover. A comprehensive car insurance plan covers third-party liabilities as well as own damage liabilities that one incurs due to a misap. A third-party liability car insurance plan covers third-party liabilities alone that one incurs at the time of a mishap. Car insurance policy in Delhi can be purchased or renewed either online or offline depending on your convenience. You can purchase car insurance policy online by visiting official insurance websites or third-party insurance websites. These websites come with a built-in premium calculator that, based on the provide information, calculates an estimate of your car insurance premium and quotes the same. Based on the insurance premium estimate, you make a decision on the insurer you want to purchase or renew your car insurance policy. You can purchase or renew your car insurance policy offline by visiting the nearest branch office of the insurer or meeting up with insurance agents. You will have to submit hard copies of relevant documents to the insurance at the time of policy purchase or renewal.